Then like my top six and fifth win on the trot dreams, they fade and die. An exciting but pointless game precedes the Christmas holidays. It was nice while it lasted and we all knew that the winning streak had to come to an end at some point. Even so, it was a disappointment that what had started as a dream of a fifth win in a row and spending Christmas in the top six ended with the Hammers slipping back into the bottom half of the table – “you took my dreams from me!” The result aside there was no denying that it was an entertaining and unusually open game in which, without playing particularly well, West Ham might easily have scored four of five goals. Defeat would have been harsh on Watford, however, who by taking the chances presented to them just about edged it on the day. Of the sixty-one Hammer Of The Year awards, five had been presented to goalkeepers* and, although we have yet to reach the halfway stage, Lucasz Fabianski must, at least, be in with a shout of this season’s award. During the summer it was obvious that we needed better than the on-loan former England keeper and the flamboyant but erratic Adrian, but I was less than thrilled when the signing of Fabianski was announced. I am delighted that he has proved my jaundice opinion 100% wrong with a series of fine performances and even finer saves – we gave the keeper’s jersey to someone special. Curiously, Fabianski just trails Joe Hart (69 versus 75) at the top of the most saves made this season Premier League rankings. The save on Saturday from Doucouré was particularly impressive. When Andy Carroll was being warmed up early in the second half it came as a big surprise that Mark Noble was the player to be replaced. Not that Noble was playing especially well but because it necessitated several other players shuffling in their positions – Robert Snodgrass dropping deeper and more central while Michail Antonio went out wide right. The subsequent introduction of Grady Diangana (for Javier Hernandez) then required Antonio to return to his more central attacking role. Having needed to make the Angelo Ogbonna for Fabian Balbuena switch in the first half, the sequence of substitutions seemed unnecessarily disruptive to me. A special mention to Ogbonna who put in a solid performance alongside Issa Diop (who played like he had taken one glass of sherry too many at the Christmas party) and also to Arthur Masuaku who was not implicated in either goal and was the top rated West Ham player as far as the whoscored stats website were concerned. The return of Marko Arnautovic cannot come too quickly for me – although I appreciate the danger of bringing a player back too quickly. In his absence you can perm any two from Hernandez, Antonio, Andy Carroll and Lucas Perez and end up with a disappointing outcome. Antonio had a good game on Saturday, though, and was twice thwarted by the woodwork – I couldn’t believe that the second didn’t go in – and also caused a lot of problems to the Watford defence, much more like the Antonio of old. Hernandez is anonymous when he isn’t scoring and he let three presentable chances go begging at the weekend. Perez just seems to lack any desire to me which leaves us with the Carroll dilemma. The not-so-secret weapon from the bench creates a wholly one-dimensional approach to our play even if that is not a conscious tactic. Despite his unplayable tag and the encouragement of pundits to hang up the crosses for him to attack, it rarely pays dividends. Granted he is still rusty but how he fits into Manuel Pellegrini’s match plans is a puzzle. 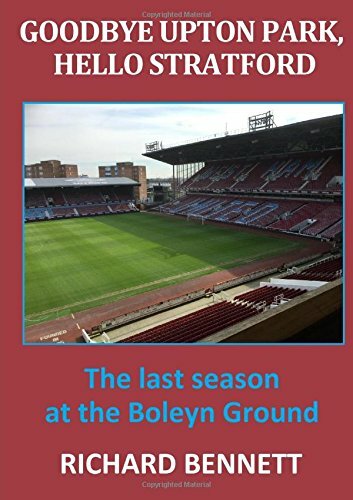 Already runaway leaders at the top of the Physio Room EPL injury table, the Hammers ended the day with Balbuena and Hernandez piling on to the treatment table – making it nine senior players in total out of action. While Hernandez may be back available this week, the injury to Balbuena is looking more worrying. I’m sure it is not imagination that West Ham suffer more than their fair share of injuries although there seems no rhyme nor reason why this should be the case. Although there are a few players in the squad who could be classed as injury prone, injuries have been spread around, having occurred during matches, in training and away on international duty. I have often suspected that the club’s below par training facilities are part of the problem but that is not going to change anytime soon. In the meantime, I hope that a Value Pack of Magic Sponges is high on the club doctors Christmas wish list for an injury free New Year. I would like to end by wishing everyone the happiest of Christmases and a very prosperous 2019. Next Next post: What are the odds on a West Ham win on the South Coast today?